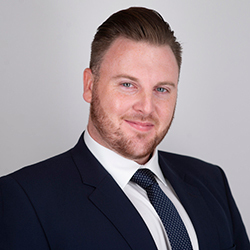 Chris has worked in Financial Services since 2014 and has achieved Chartered Financial Planner status. Chris enjoys spending his time playing golf and sea angling. He is also a petrol head who loves watching rugby. Advanced Diploma in Financial Planning (APFS). 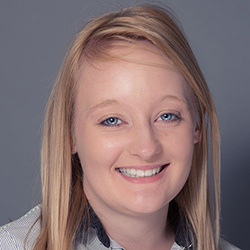 Hollye joined the team in 2017 and is working towards her Diploma in Regulated Financial Planning. Hollye enjoys travelling, spending time with family and friends and her two pugs. 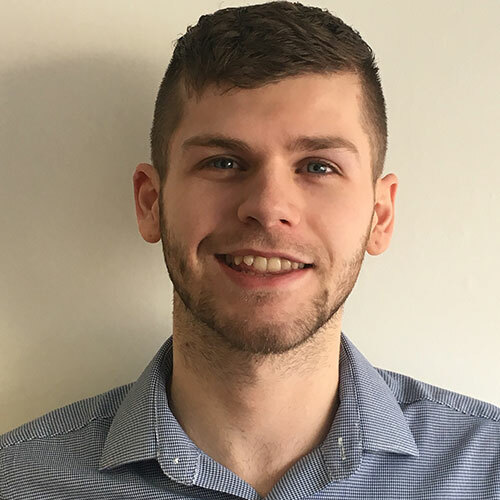 Adam joined the team in 2017 and is working towards his Diploma in Regulated Financial Planning. Adam enjoys watersports such as surfing and scuba diving in his spare time. He also enjoys travelling with friends. David has worked in Financial Services for over 20 years and in that time has become one of the highest qualified advisers in the country. David is married with two children and when not working can usually be found catching fish somewhere near Rathlin Island. 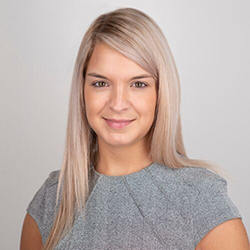 Zoe has worked in Financial Services since 2013 and has achieved Chartered Financial Planner status. Zoe loves holidays in the sun, spa days & she is also our in-house handbag aficionado! 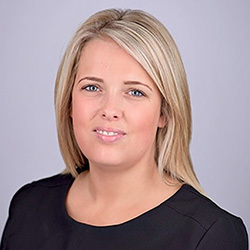 Helen has worked in Financial Services since 2015 and has achieved Chartered Financial Planner status. In her spare time Helen loves travelling the world with friends. 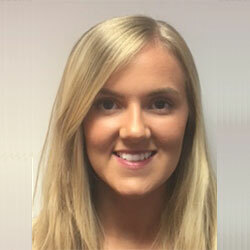 Emma has been working in Financial Services since 2010 and has completed her Diploma in Regulated Financial Services. Emma enjoys spending her time riding her horse Oscar or competing in Dressage. Anna has worked with Hills Financial Planning since the business was opened. 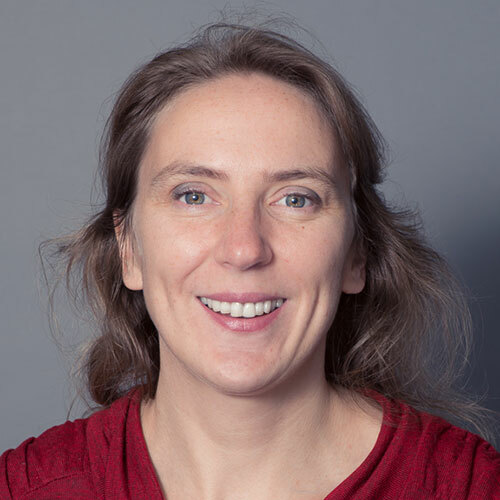 Anna is married to David, with two children and has a passion for music and drama. 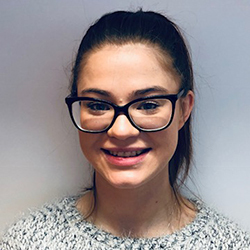 Taylor has been working in Financial Services since January 2019 and is working towards completing her Award in Financial Administration. She is currently studying Human Resource Management in Belfast Metropolitan College and is working towards gaining her Level 3 Diploma in Human Resource's Practice. Taylor enjoys spending her time attending Music Festivals and Travelling. 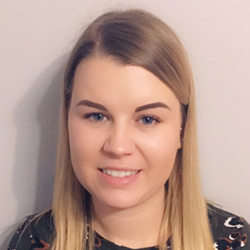 Jessica has been working in Financial Services since December 2018 and is currently working towards gaining her Award in Financial Administration. Jessica enjoys spending her time walking her dog and planning her next trip away. Hills Financial Planning is owned by David Hill, an Accountancy Graduate from Queens University with over 20 years experience in Financial Planning. 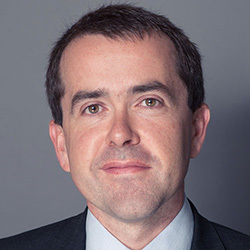 David is one of the few advisers to be qualified as a Certified Financial Planner and as a Chartered Financial Planner, the highest level of Financial Planning qualification in the industry. Hills Financial Planning specialise in professional investment portfolio construction and Inheritance Tax planning. Hills Financial Planning are proud to be one of only seven Chartered Financial Planning firms in Northern Ireland and provide financial planning to individuals and companies throught the whole of the UK. Our online whole of market wrap service allows selected clients to view their entire portfolio values and details at the touch of a button. Hills Financial Planning is a trading style of Hills Insurance Services Ltd. Previously, financial advisers could be paid by way of commission based on a percentage of the premiums payable or sums invested. This is no longer allowed for investment-related products under regulatory changes introduced as part of the Retail Distribution Review, which took effect on 31 December 2012. We will explain to you exactly how much our advice will cost and reach an agreement over how you will pay for it. We will always agree our fees with you upfront and in advance of any chargeable work being carried out. During our first meeting we will be able to tell you how much your detailed Wealth Management Plan would cost and how much it would cost to carry out any implementation work such as setting up trusts or pension funds. Before we meet, we will send you out a short questionnaire to complete. This allows you to detail what it is you would like to achieve and what issues you would like us to focus on. It also allows us to prepare fully for your meeting so that we can make the time you spend with us as beneficial as possible for you. In many cases, we can answer your questions and do everything you need us to do in the first meeting for which we charge £217. This meeting tends to last up to two hours. For those who have more complex circumstances, we will go on to prepare a detailed wealth management plan, the cost of which we will agree at your first meeting. In almost all cases we are able to make arrangements which clients would be unable to make for themselves. All our proposals will be fully explained and costed so that you'll know exactly what you need and why before you agree to anything. Some of our documents use the Keyfacts logo required by the Financial Conduct Authority. To access the FCA's own website click here. To access further information about money matters you can view The Money Advice Service here.